“”A unique style of true psychedelic night music.”"
AodioiboA’s live sets flood the dance halls with exquisite, energetic playful and resourceful music. The label owner of LittleBigsensations has meticulously and lovingly refined his sound over the last decade and expanded his sonic repertoire with loving detail. With his musical arrangements, AodioiboA creates an atmosphere both experimental and rich with effect, but always with a driving groove for the trancefloor. His sound is dance music for both the body and soul – powerful rolling bass combined with distinctive, pseudo-acoustic effects make his live sets an unforgettable journey of sound. flood the dancefloor with a crackling, driving mixture of psytrance-oriented elements and a progressive structure. The sophisticated sound experiments of this Leipzig-based duo are the fruits of countless fun-filled hours in the sound studio. 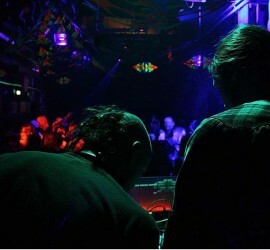 Long known behind the turntables as the duo Mongoose & Meehal, they embarked on the live project Psychophysical Transcripts in 2011 with the intention of creating intoxicating sound journeys. 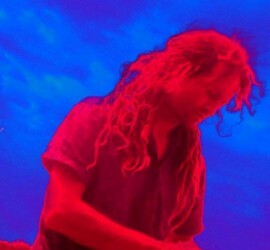 Their live sets are characterized by an exciting, twisting sound. From drivingly deep to playful progressive, then adding a touch of twirling rhythms and punchy psychedelic – this medley of sounds harmoniously urges the dancefloor forwards and upwards. 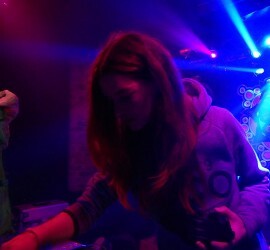 is one of the few female artists in the psychedelic trance scene. With her experimental live set, she kicks a driving, tingly sound straight to the dancefloor. Taking her first dip into the world of musical production just over four years ago, she has quickly cut loose with her own productions and unique style, as can be heard in her constantly-evolving skills and knowledge in the studio. She thrills her audience with a constantly growing repertoire of excellent sounds in her live set.